Each unit is tailored to include as many words as possible (on average 40). 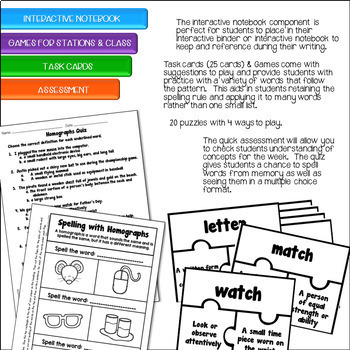 The unit is targeted to specific grade level content and has notes to give tips on differentiation as well as other ways the activities may be used. 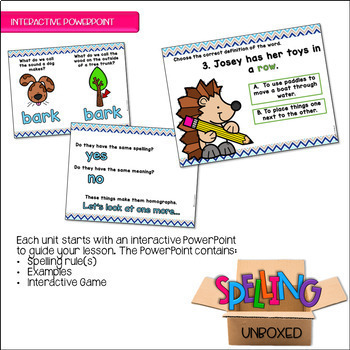 Learn more about Spelling Unboxed here.